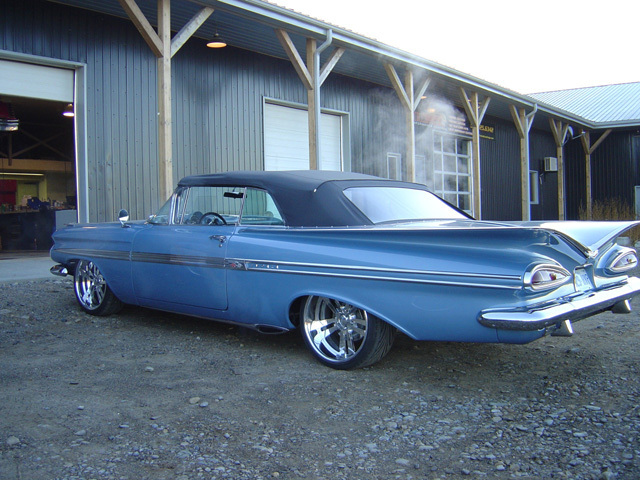 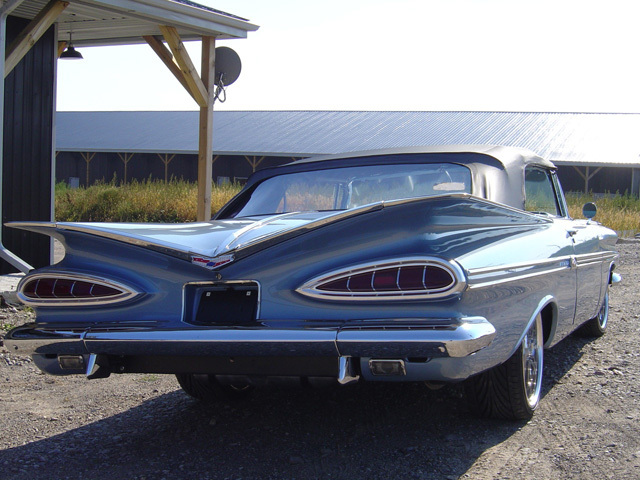 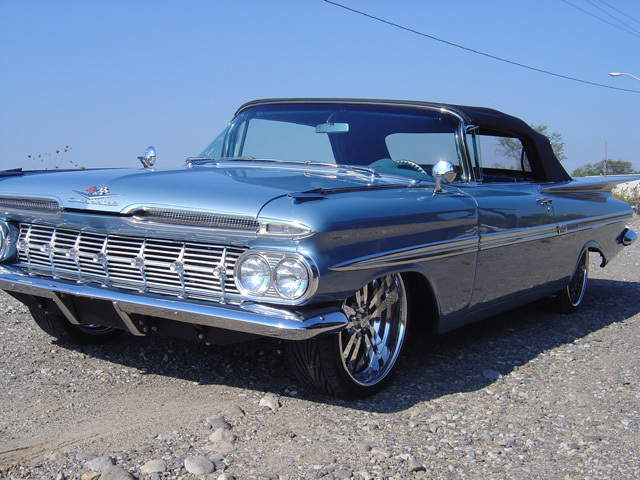 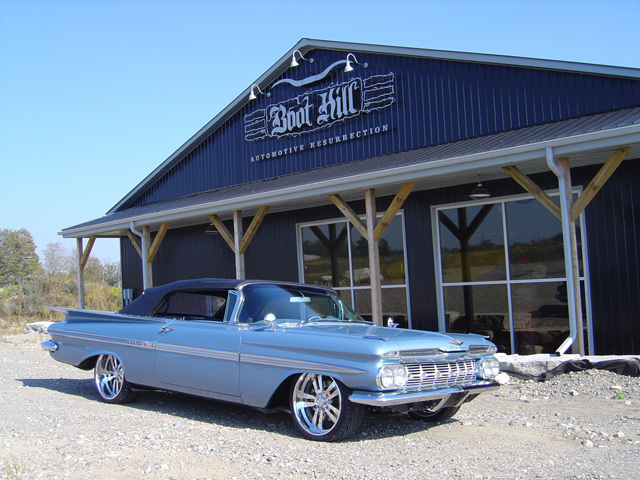 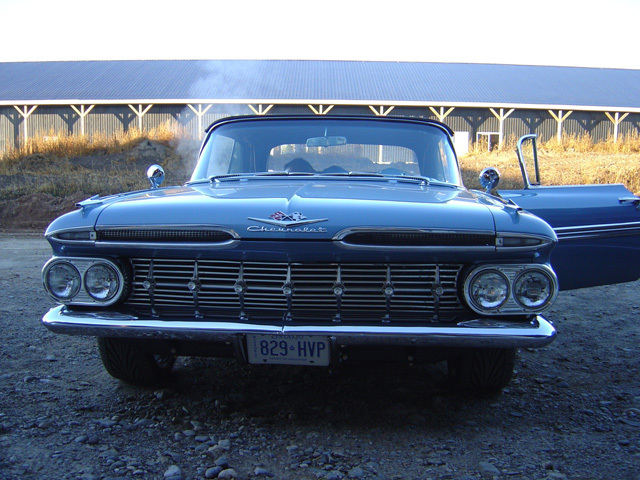 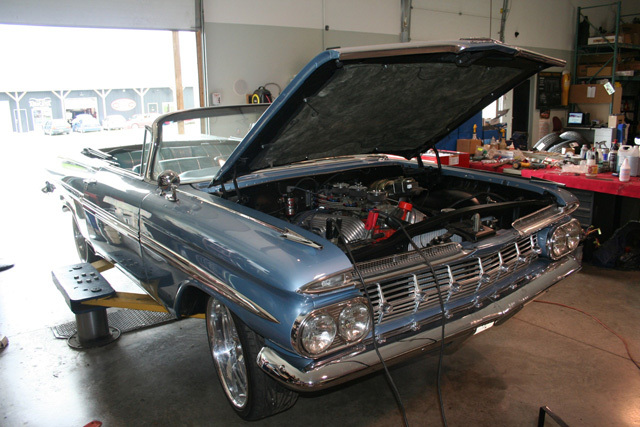 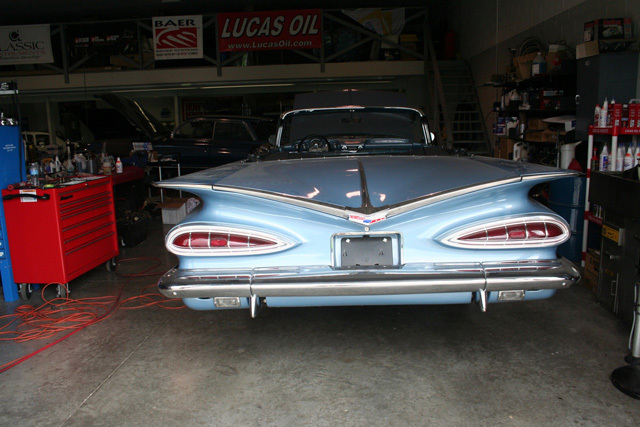 Everyone loves a 1959 impala and the convertibles are the best of the best for sure. 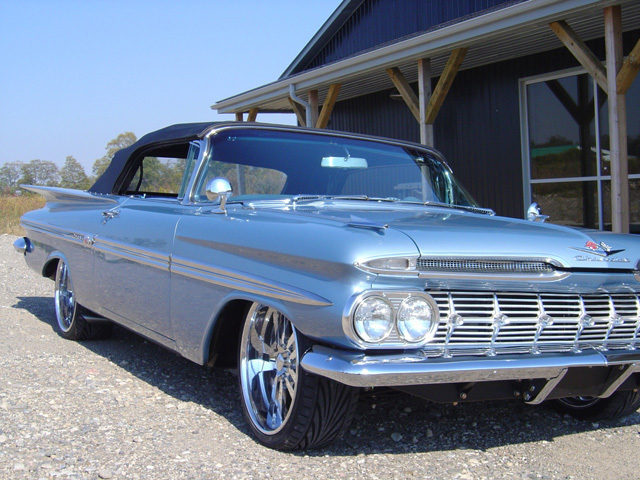 The stance is attained with Ride Tech's Air Ride system, this is what is needed to get her slammed down for the shows and popped up for summer night cruises. 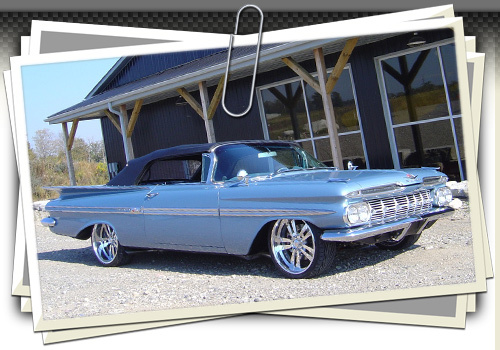 Focal custom sound when you have to listen to the Stereo. 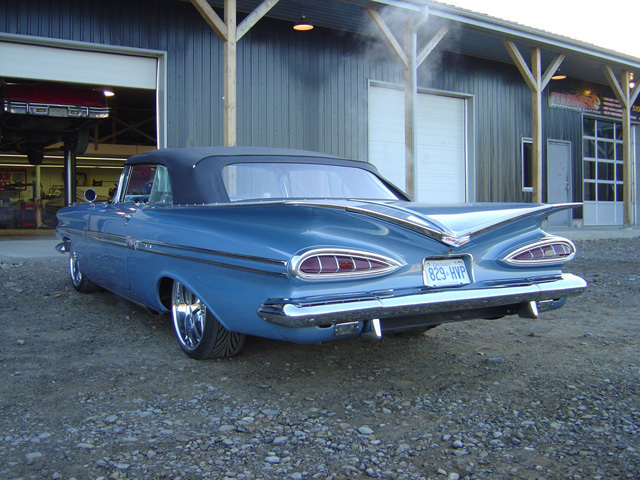 Custom Rockers made all out of stainless with ported side exhaust tear drop shaped to match those classic '59 tail lights. 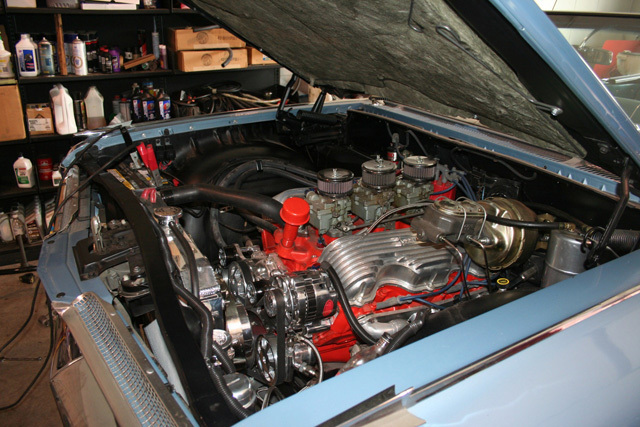 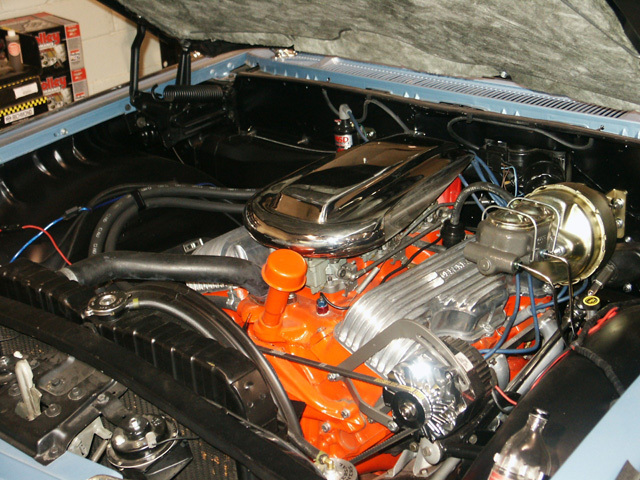 Powered by rebuilt 348 (the original big block) 6 pack set up with custom stainless steel air cleaner designed to follow those classic '59 lines. 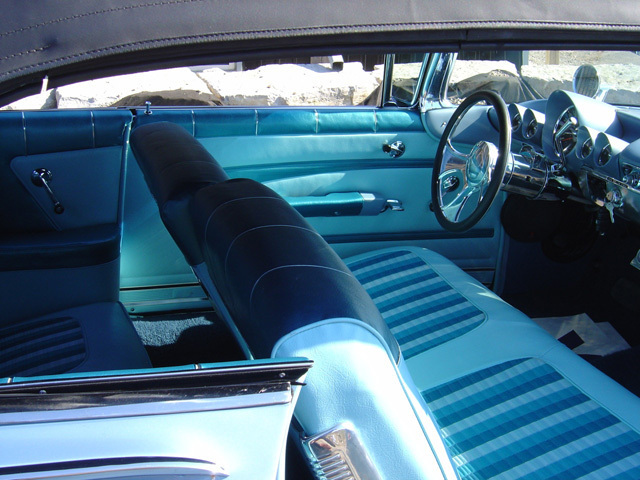 The baby blue rag turns a lot of heads, both when cruising down the road and slammed to the ground in the parking lot.